James Lofton is a former American football player who played in the NFL as a wide receiver for the teams like Green Bay Packers, Los Angeles Raiders, the Buffalo Bills, Los Angeles Rams and Philadelphia Eagles. Further, he worked as a coach for the San Diego Chargers. As for now, he is an analyst for NFL on CBS. As an analyst, James David Lofton reportedly earns around $70,000 as his yearly salary from CBS Sports. Further, he has an estimated net worth of over $5 million. James David Lofton was born on July 5, 1956, in Fort Ord, California to parents, Emmanuel Michael Lofton and Violet Lofton. As per his nationality, he is American and belongs to Afro-American ethnic group. Further, his star sign is Cancer. James David Lofton attended George Washington High School in Los Angeles, California where he played for his high school football team. After completing high school, James David Lofton enrolled at Stanford University and played for the Stanford University football team. Lofton was selected in the first round (sixth overall) of the 1978 NFL Draft by the Green Bay Packers. He played in three Super Bowls during his career with the Bills and was inducted into the Pro Football Hall of Fame in 2003. In his 16 NFL seasons, Lofton caught 764 passes for 14,004 yards and 75 touchdowns and averaged 20 yards per catch or more in five seasons. He further rushed 32 times for 246 yards and one touchdown. During his nine seasons with the Green Bay, Lofton played in seven Pro Bowls and left as the team's all-time leading receiver with 9,656 yards. Lofton became the wide receiver coach for the San Diego Chargers in 2002 and continued that role until January 22, 2008. In 2008, he was rumored to be hired as the head coach of Oakland Raiders the position was given to Lane Kiffin and hired him as their wide receivers coach. Lofton also worked as a color analyst and sideline reporter for NFL coverage. In 2009, he re-joined the network to work on Sunday Night Football broadcasts. He later moved to a television position on the NFL on CBS in 2017 after Solomon Wilcots stood down from his position. James Lofton is married to his wife, Beverly Lofton since 1980. The couple has three children named, David, Daniel, and Rachel. Among them, David and Daniel are football players, playing for the Toronto Argonauts and the University of Hawaii respectively. His daughter Rachel participated in the third season of television's Endurance Hawaii and stood 6th. 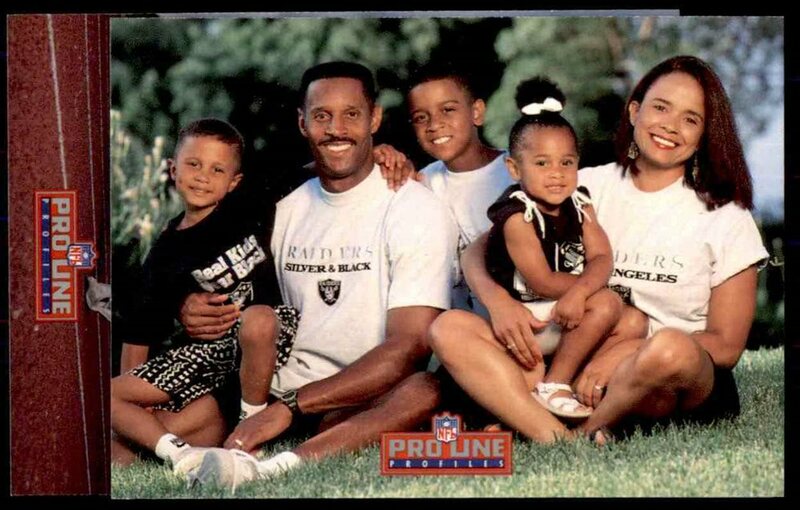 James Lofton currently resides in San Diego, CA with his family. He is living a happy and content life with a smooth relationship with his wife. Lofton was accused of sexual harassment by a dancer along with his Packers teammate Eddie Lee Ivery in October 1984 but was later left due to lack of evidence. Two years later, he was again charged with two-degree assault in the stairwell of a Green Bay nightclub but was found not guilty. As of 2018, James David Lofton has an estimated net worth of over $5 million. Further, he has an average salary of $70,000 annually, working as an analyst for CBS Sports. He reportedly made around $5 million from his 16-year long NFL career. Kept aside James David Lofton financial earnings, his personal assets include a Home in San Diego, CA. James David Lofton was not only a world-class athlete but also has a very attractive individual. The former NFL star is 6 feet 3 inches in height and weighs around 84 kg.